6s1750, a super rare '66 Shelby GT350 that Bosskraft purchased and restored. 'Bosskraft Resto Shop', as we're known, is the only place that you should consider sending your pride and joy for any type of restoration, or service work. 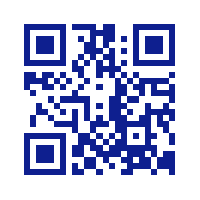 We specialise in Mustangs, Fords and all other types of muscle and collector cars. We offer an inventory of cars for sale, and can source that specific vehicle that you've been hunting for. Bosskraft offer a great many services, which are listed below. Our newest service, is the Asbestos Containing Material (ACM) Clearance Service, for items being imported into Australia. See further details below, on that service. If you're looking for your dream car and do not find it listed on the site, be sure to touch base with Bosskraft and have them source that special car for you, as many vehicles we have available are not listed on the website. Bosskraft are the only known & qualified business, to engage in the inspection, removal AND certification, of ACM from anything you wish to import to Australia (cars, parts, trailers, ATV's, caravans, jetski, motor cycles etc), that also work on motor vehicles for a living. Bosskraft can attend the location of your item being exported in the USA, inspect, identify, legally take samples of ACM and test, followed by providing a report for ABF, streamlining your import experience and allowing your customs broker to tag the 'yes' or 'no' question about whether your items contain ANY asbestos, as a 'no'. Further, Bosskraft have been engaged with a great many customs brokers in Australia for many years and have been though the good, the bad and the ugly. We've been importing into Australia from the USA, for well over 20 years, combining that with the experiences we have attending the various shipyards in the USA that ship to Australia, we can give you advice on who is the best shipper and who NOT to ship with. ﻿Bosskraft now offer general servicing for all model mustangs. We have a licensed and experienced mechanic with appropriate scanning tools for all late model vehicles including Mustangs. Bosskraft eases the experience of purchasing Mustangs abroad and here in Australia. These days, Mustangs are not found in the streets and a huge network is required to source good quality cars. Don't ever buy anything sight unseen, as there are far too many horror stories which only end up causing years of heartache and financial loss. Sean can source, inspect, appraise and buy all types of Mustangs which he sources through his contacts, so touch base with him and let the experience of owning your dream car be exactly that - a dream run! This can include, or incorporate difficulties verifying VIN’s, door data plate information, presence of options and hard to find parts, to verifying that the car even exists! Bosskraft specialises in Boss Mustangs, Shelby’s and also other Mustangs from ‘64 ½ to ‘73. We have specialist machinery here in the shop to bring your valve covers or intake manifold back to stock. 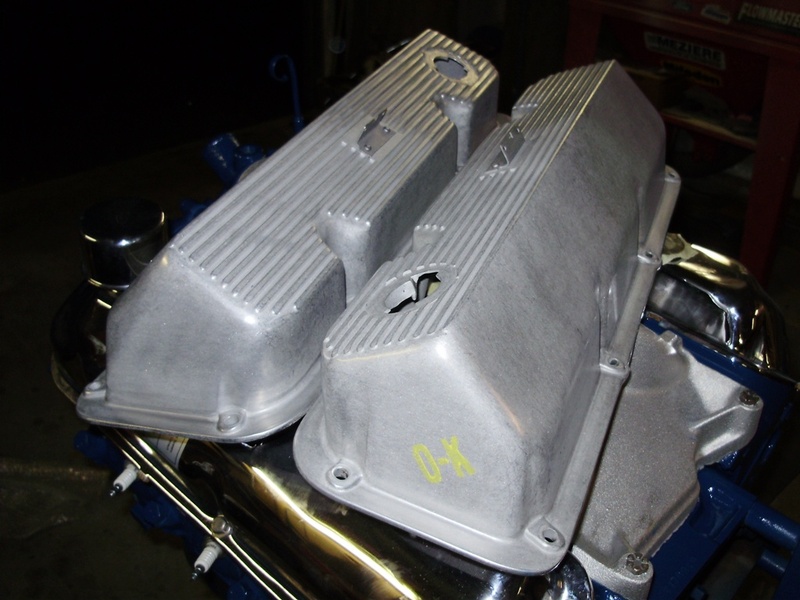 The Boss 302 valve covers pictured to the right, were highly polished, as many were back in the day, and we were able to bring them back to looking like brand new, looking like they were fresh out of the casting. 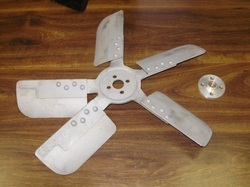 Media blasting leaves a pitted surface that 1. Is not original and 2. Is prone to attracting dirt and grime quickly, so with our systems here, we can make them silky smooth and original looking! Here at Bosskraft, we're able to rebuild your vacuum advance units back to original, utilizing the original band where possible, rather than a repop one. The internals are rebuilt, the original band replated and everything else refinished, to bring back an 'as new' finish to your vacuum advance. Bosskraft offer a service to transfer your funds to purchase a vehicle and can provide safe, secure and insured transport within the USA to get your car to the desired destination. We can even ship it all the way to Australia for you. If you decide to purchase a vehicle in either Australia or the USA, Bosskraft offers competitive rates above and beyond what the banks would ever give you. We can also facilitate the transfer of funds to the seller, secure your purchase and even ship it within the USA or all the way to Australia. 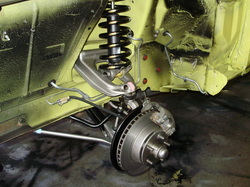 We can mirror convert your left hand drive Mustang to right hand drive with either a steering box, or the latest rack & pinion system designed to fit right into your Mustang without drilling a single hole that shouldn't be there! 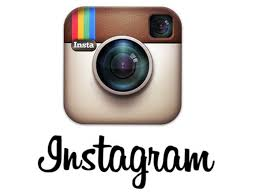 We are the specialists when it comes to making something look genuinely original. We have specialist machinery, experience and knowledge of originality that others don't, which gives us the leading edge to provide you with the best and most original restoration possible. 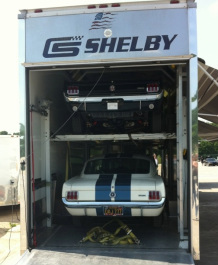 We can also tailor the restoration to be a trailer queen, or a completely drivable, brand new Mustang. 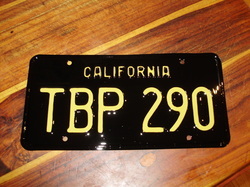 We'll even stretch the friendship and provide non concours restorations if you just can't stand an original car! Let's hope you never need to see one of these! 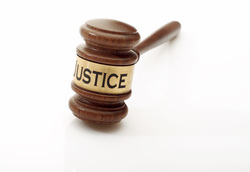 We've been called upon by customers to represent them in Court proceedings with respect to providing 'expert evidence' on certain vehicles that they have somehow managed to get themselves tangled up with, prior to our involvement with them. Is your car a great looking ride, but the engine bay is a bit worn out, or beyond a simple clean up? 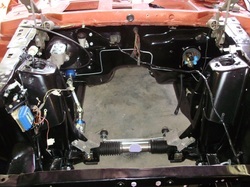 Bosskraft can provide complete engine bay overhauls, without having to touch the rest of your car. We strip everything out and start again, giving you a beaut looking engine bay, whether that be concours, or other, such as this '69 GT350 engine bay which came to us painted the wrong colour, with incorrect decals everywhere and just needed a simple freshen up.This car is a consistent gold concours winning car now. 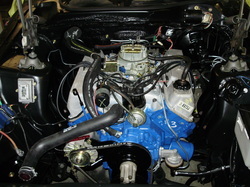 Customers often have us build engines for their cars, while they do their own restoration work. We're more than happy to build and even detail your engine, to your spec's. 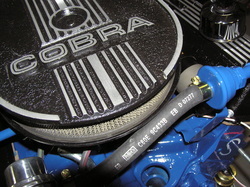 Like the Cobra Jet carb pictured, we can restore and detail your carb to look and operate 'as new'. 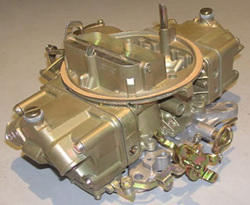 This also extends to Autolite carbs, often fitted to old Fords. We are also dealer/distributors for several companies in the USA who sell Mustang parts, including, but not limited to: Tony D. Branda, Shelby & Mustang Parts, Scott Drake, California Mustang, and AMK Products. 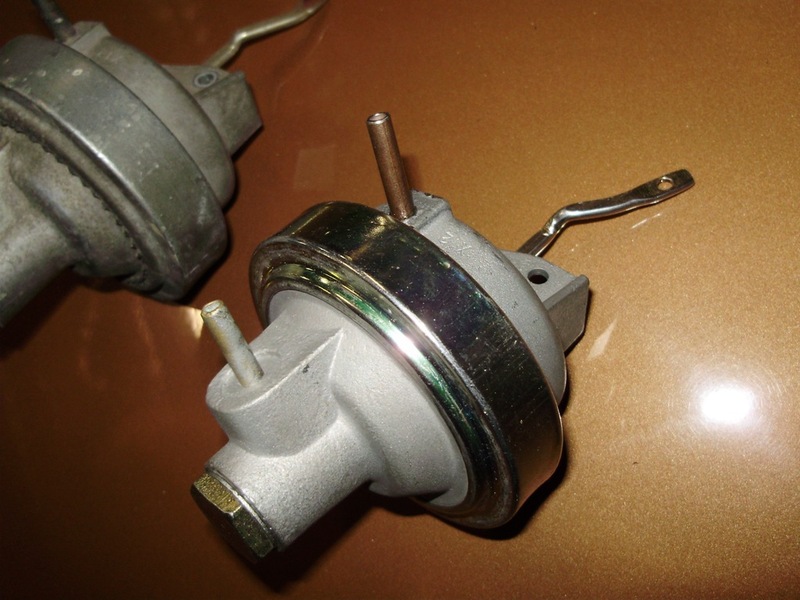 Built your own engine or had Bosskraft build it and now want it detailed properly? 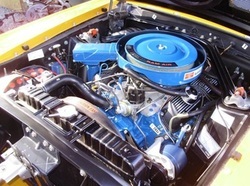 Bosskraft can detail your engine to correct concours spec's. 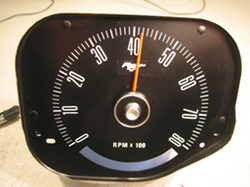 Many don't know that most Mustang tach's are wired differently to 99.9% of other tach's and cannot be repaired by the average gauge repairer and when they do repair them, they rewire them to work like every other tach, which completely destroys the internals of them and they never work the same, ever again. We specialise in repairing and calibrating them back to 'as new' condition using the correct parts to keep them original and wired as they should be. Yes, we can even restore your 'tags', as they're referred to in the USA, just like this one that we restored for a customer. 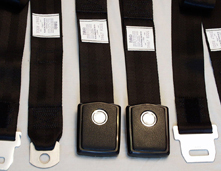 We can restore your seat belts back to as new condition with date and manufacturers tags at a competitive price.